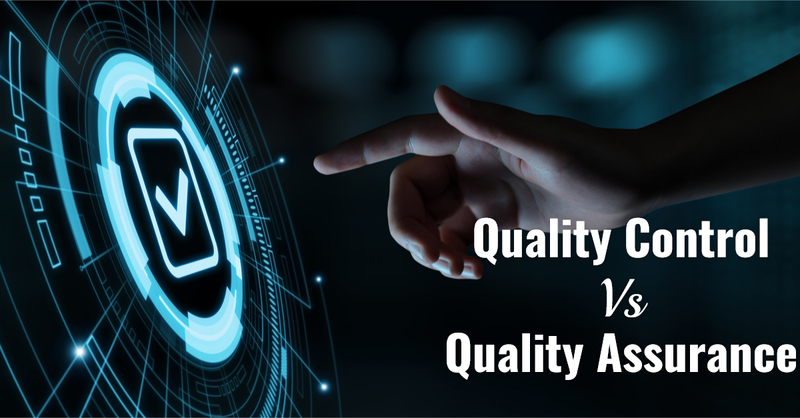 Software Quality Assurance Vs. Quality Control – What is the difference? Quality is ensuring the condition of the product or service in business is competent and pleasant to use. All companies, no matter the size, need quality management systems. Even if they don’t have an end product, the quality of the process and service offered needs to reach specific standards. The use of the terms quality assurance and quality control are interchangeable, referred to like the same thing. However, this isn’t true. Both departments work side-by-side under quality management. This is to guarantee the best results and get the approval of the customers, management, and certifiers. Quality assurance sets the standard that defines quality while quality control implements the necessary steps within the process to reach that standard. Quality management is responsible for defining and controlling the quality of the finished product, service, and progress. After the industrial revolution in the twenties, quality management started shaping into what it is today. It started with just quality control, ensuring meeting the technical and engineering qualities. As production became more structured, quality became more important throughout the whole process. And so, in the fifties, quality assurance made an appearance next to the quality control. It started branching out to all manufacturing, health, and software companies. Corporations started realizing that quality management wasn’t about the quality of the product itself but it involved the whole business, with all its operations. The quality of a product is the number-one priority for a customer. And so, it is something no business should do without. What is the difference between Software Quality Assurance & Quality Control? Quality Assurance QA is a proactive procedure to ensure the quality of the techniques and operations used to verify the deliverables. Quality assurance processes, from start to finish, making assurance a process-oriented step. QA aims to set the overall quality standards and focuses on defect prevention. It is the first half of quality management that also includes auditing; it comes before quality control. As for Quality Control QC, this is a reactive procedure that works against QA; they focus on identifying defects and bugs then fixing them. QC goes through all the processes and makes sure the set standards are implemented correctly. It is product oriented; making sure the finished product is tested and retested before its launch. This is the second half of quality management that comes in the end. Differentiating between both terms can be challenging. But now that we’ve established their clear definitions let’s go through the major questions to ask ourselves to set them apart once and for all. Firstly, who does the job? The whole team is responsible for QA because it involves the entire process, not just the product. Management, clients, or a governmental entity set standards to meet the customer requirements. As for QC, an individual team of testers and engineers do this task to make sure the product is bug-free. What are the included activities? Quality assurance activities include development, checklists, internal auditing processes, design control, software release, customer complaints, label and environmental control, and statistical tools and techniques. As for quality control activities, they include all aspects of inspection such as materials, labeling, and final product inspection. Both QA and QC apply statistical tools and techniques in their work. When they fall under QA and are applied to processes, it is Statistical Process Control (SPC). However, when statistical methods are applied to the output result, the product itself, they fall under QC. In this case, it is Statistical Quality Control (SQC). Quality assurance is the first step of quality management; it is the initial planning and creating phase. It sets the standards for development that the processes need to follow. As for Quality control, it is the last step of development. It includes intensive testing of the finished product before its release, reassuring the product has reached the standards set by QA. QA’s main goal is to improve and enhance the whole development process to prevent defects from occurring. As for QC, their main goal is the complete opposite. QC works to find weaknesses in the end product and fixes it. All businesses have both departments; some have one that functions as both, quality assurance and quality control. Whether its cost of employment or expensive equipment, quality management is a crucial part of product development. And so, outsourcing quality control steps in! Softxpert offers its services to businesses and startups ensuring software reaches its full potential. With experienced and equipped QA and QC, they do the necessary tests and guarantee you have the highest standards.